What is the best time to visit Sikkim and Darjeeling? How is weather during September and October? Does it snow in Sikkim during winter? Sikkim & Darjeeling lies more or less at same altitude 1700 m and 1990 m respectively, being in same extended eastern Himalaya’s ranges, both the places experiences similar kind of weather pattern. Mere difference of 3 hours’ drive from the plains of Duar or Siliguri to Sikkim and Darjeeling in regards to weather can be dramatically different. When the plains temperature rises to over 30 C during summer, Darjeeling and Sikkim, specifically Gangtok (Capital of Sikkim) experiences pleasant weather, for these matter even during winter weather remains clear, sunny and warm. 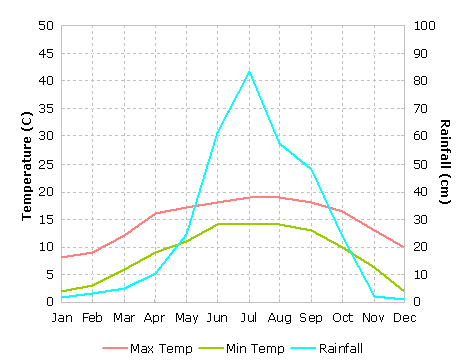 However the weather tends to dramatically fluctuate at the span of day and night. The temperature plummets drastically during night during winter but by that time you will be covered by the warm heater at hotel’s room. 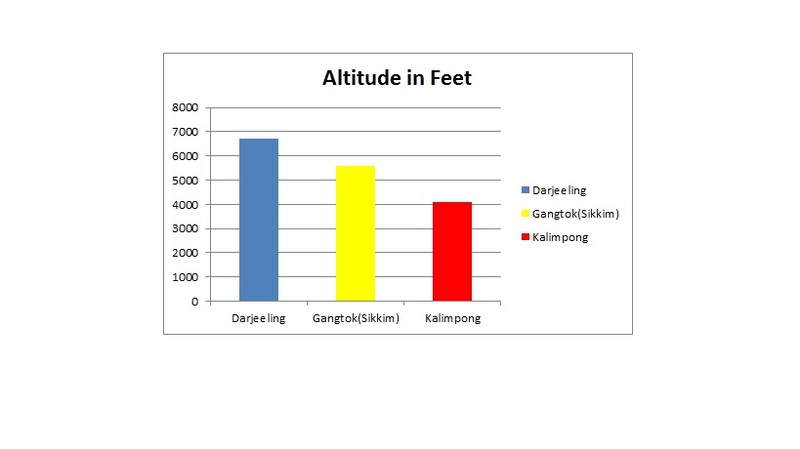 Generally, in Himalayas region, altitude remains the main factor determining the weather. Northern regions are mostly covered with snow except few months in spring. September and October is the best time to visit Sikkim and Darjeeling weather wise, and the festival periods fall during these time. However, the flip side is that these places becomes overcrowd with visitors, availability of Hotels and other infrastructure are stretched to maximum. a) Summer: Summer is from mid-April till the end of May after which the monsoons break at the beginning of June till August. This is the time when the rhododendrons are in full bloom in places like Yumthang, Varshey (West Sikkim) etc. The skies are fairly clear with occasional showers. This is one of the best times to go on treks. b) Autumn: This is a great season when the skies are clear and the mountains are preparing for the winter months ahead. The snow clad peaks should now be visible with the air at its cleanest after 3 months of rainy seasons. c) Winters: This season falls in between Dec to Feb, its snow in northern region of Sikkim, but Darjeeling and Gangtok remains cold with clear sky and clarity in visibility is at its best. A visit to Yumthang Valley in winters offers an awesome panorama of a wilderness under a sheet of snow. Tsongo Lake is frozen solid and remains that way till Feb-March. The month from Mid-June till the end of first week of September is season of rain, incessant rain sometime poses serious problem of Landslide and take its toll on road conditions.